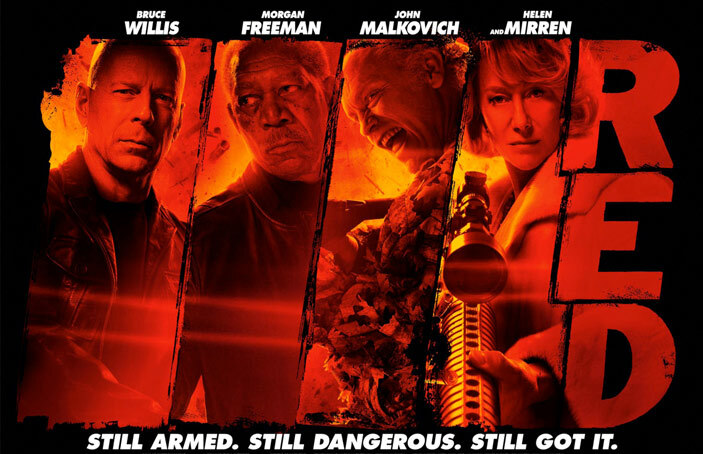 Red is a big budget action comedy starring Bruce Willis, John Malkovich, Helen Mirren, Morgan Freeman. Loosely inspired by the comic book series of the same name, the film follows Frank Moses (Willis), a former black-ops CIA agent living a quiet life in retirement. When a hit squad raids his house in the middle of the night, Frank tries to find out who is trying to kill him, and track down his old black ops team. Our movie critic, Carel Nel, lets us know if this is one to watch.